London, Aug 21 (PTI) Gurinder Chadha's "Partition: 1947" has been banned in Pakistan and the filmmaker has called it "unfortunate". The 57-year-old director took to Twitter to express her disappointment. "It is unfortunate my film has been banned in Pakistan. It will always be the land of my ancestors. 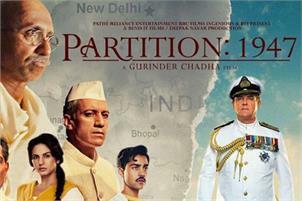 #Partition1947 @humasqureshi @RelianceEnt," Chadha wrote. The film's story centres on Partition of India and Pakistan in 1947 and the impact on human lives in its aftermath. It was released as "Viceroy's House" around the world. The film, starring Huma Qureshi, Hugh Bonneville, Gillian Anderson, Manish Dayal and Om Puri, released in India last Friday.